For personal strength, the raising of sensual and spiritual fire, and to beckon KARMA. 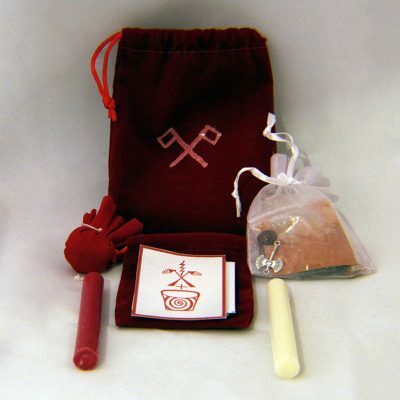 To make offerings to the spirits, make an altar, make a mojo bag for the spirits, perform works for needs and desires. These bags are made to have communion with the gods and goddesses (Loa, Orishas) of the voodoo pantheon. May they bring good spirit energy to you.